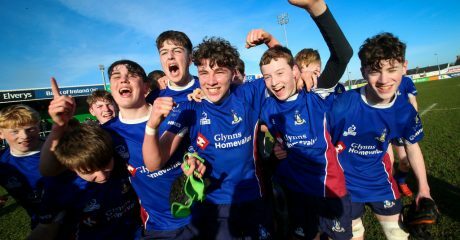 Abbey Community College from Boyle claimed the Connacht Junior Schools Emerging Cup in a gruelling encounter with St Joseph’s of Foxford in the Sportsground. 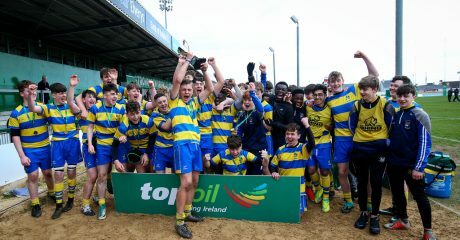 In a low-scoring and at times abrasive final, the Roscommon students’ first half performance was enough for them to see off a spirited Joseph’s revival and take the honours. Abbey played with the aid of a gale-force Sportsground breeze behind them in the first half and they duly dominated Joseph’s in the territory stakes. They had the game’s first try after six minutes as out-half Michael Cregg pinged a terrific kick into the right-hand corner for Josh Cronin to race after and touch down. Conditions were hugely difficult for the kickers and Cregg missed the conversion but Abbey nonetheless held the lead, and they extended it five minutes later when St Joseph’s were penalised for not releasing in the tackle. Cregg found his range with the penalty and Abbey were eight clear. 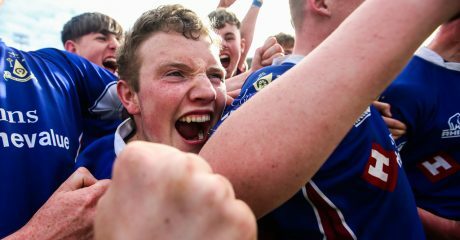 St Joseph’s were holding their own in the tight, with both prop forwards, Liam McEvoy and Donal McLoughlin, making some eye-catching carries. But they struggled to gain a foothold in Abbey territory and the Boyle school held their 8-0 lead until half time. Joseph’s moved back into contention ten minutes after the restart with a try from McEvoy. They mauled off a five-metre scrum and the tighthead crashed across the line to narrow the deficit to three. But try as they might to find another score, Joseph’s couldn’t break down a disciplined and resolute Abbey defence. Abbey held out to record a battling 8-5 victory and take Emerging Cup glory. 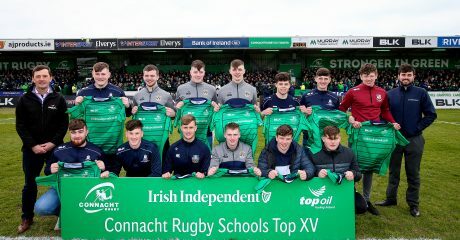 ABBEY CC: Antonio Chilton, Josh Cronin, Max King, Jamie Reynolds, Danny Valentine, Michael Cregg, Oisin Cregg; Lorcan Connolly, Diarmuid Dowd, Joshua Young, Adam Langan, Jack Flanagan, Cadell Beirne, Cathal Feely, Danny Funke. 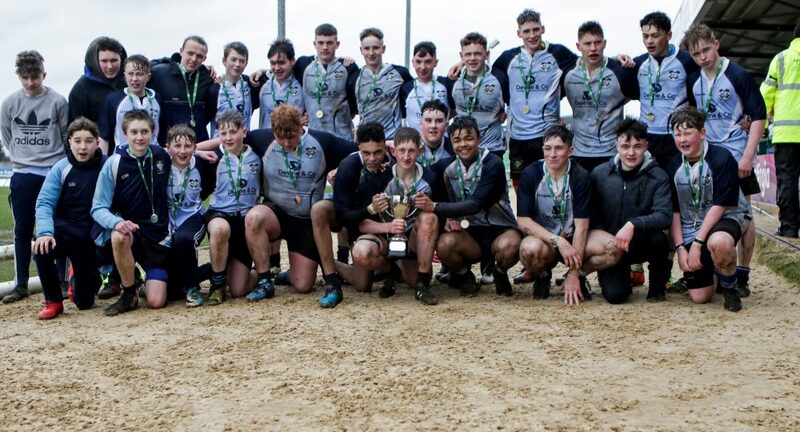 ST JOSEPH’S: Evan Reape, Jason Neary, Tadgh Ruane, Cain Lowndes, Mikey McHale, Fionan Cruise, Kienan Smyth; Liam McEvoy, Tyler Guilfoyle, Donal McLoughlin, Conor McHale, Micheal Holmes, Calum Loftus, Thomas Hannigan, Anthony Gallagher. Replacements: Enda Bourke (for Loftus 39), Sean King (for McHale 48), Mike Ormsby (for McEvoy 53, inj), Shane Corcoran (for Neary 56).